When will be Assassins: Ireland's Contract Killers next episode air date? Is Assassins: Ireland's Contract Killers renewed or cancelled? Where to countdown Assassins: Ireland's Contract Killers air dates? Is Assassins: Ireland's Contract Killers worth watching? In this new 6-part series, Donal MacIntyre & Prof David Wilson take us on a shadowy journey inside the minds of Ireland's contract killers. This groundbreaking new series launches with a profile of Irish criminal Paddy Doyle, who fled to the Costa del Sol, known as one of the most violent and feared criminals once operating in Dublin. The permeable links between Republican terrorists and criminality have long been established. But have they ever produced an assassin like Rose Lynch? Is Lynch the only female assassin to have worked in Ireland? Why is she unrepentant having killed an innocent man and the wrong target? At the age of five Lynch joined Fianna Eireann and rose through the Republican ranks. The specialist markswoman took David Darcy's life in a clinical fashion - in the manner of a professional. Lynch killed the innocent dad-of-two, who worked as a driver for a local butcher and was originally from Ballyfermot. He was about to leave for work when he was gunned down. How was senior crime figure, Eamon 'The Don' Dunne killed? Who benefitted from him being out of the way and how did they go about it? What sort of assassin could have carried it out without being discovered? What inherent danger is there in taking out a top-level criminal? On the 23 April 2010, gang leader Eamon Dunne was killed as he enjoyed a night out at a friend's birthday party in the Fassaugh House pub in Cabra. Shot by two masked gunmen, Dunne's brutal murder was witnessed by his daughter, his associates and his bodyguards. The narrative of the episode will start with the assassination of Dunne culminating in the inquest which returned a verdict of 'unlawful killing by persons unknown'. Dunne's background will give Donal and David an opportunity to get inside the mind-set of the people who wanted Dunne dead. They will look at the many gangs connected to Dunne, the history of his rise to power and the possible crime-lords who keep the hitmen in business. How did innocent looking teenager, Gary Campion, mature into a contract killer by the age of 17? Is he representative of a new-breed of killer? What differentiates Campion from the gun-men of his older generation? Guilty of not one, but two gangland assassinations, is Gary Campion, the most notorious assassin in Irish organised crime? Step forward the teenage hitmen - children blooded early to commit murder for money. The most notorious is Gary Campion. The only person convicted and serving time for two gangland hits. The episode looks at the murder of Brian Fitzgerald and Campion's role and the ensuing investigation. It also looks at Campion's upbringing and fledgling career before blooming into a hit-man for hire. 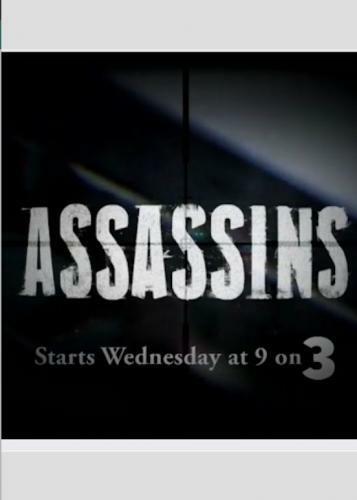 Assassins: Ireland's Contract Killers next episode air date provides TVMaze for you. EpisoDate.com is your TV show guide to Countdown Assassins: Ireland's Contract Killers Episode Air Dates and to stay in touch with Assassins: Ireland's Contract Killers next episode Air Date and your others favorite TV Shows. Add the shows you like to a "Watchlist" and let the site take it from there.